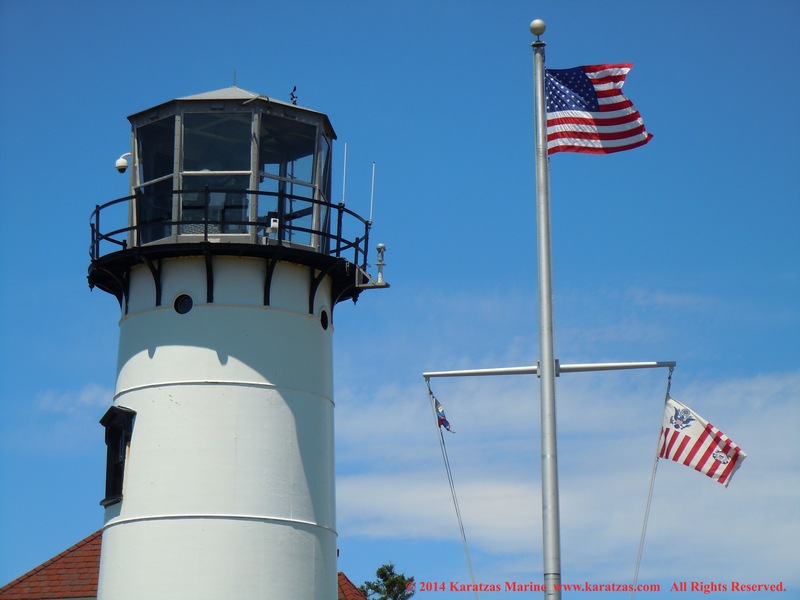 Posted on July 13, 2014 by Karatzas Marine Advisors & Co. 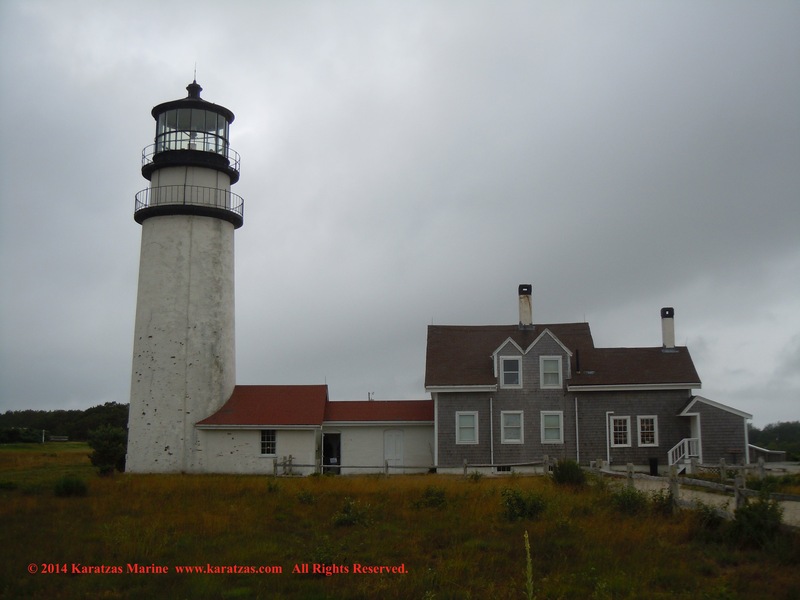 The ‘Three Sisters of Nauset’ is an ensemble of three lighthouses that are presently decommissioned and maintained under the auspices of the National Park Service and listed in the National Register of Historic Places. 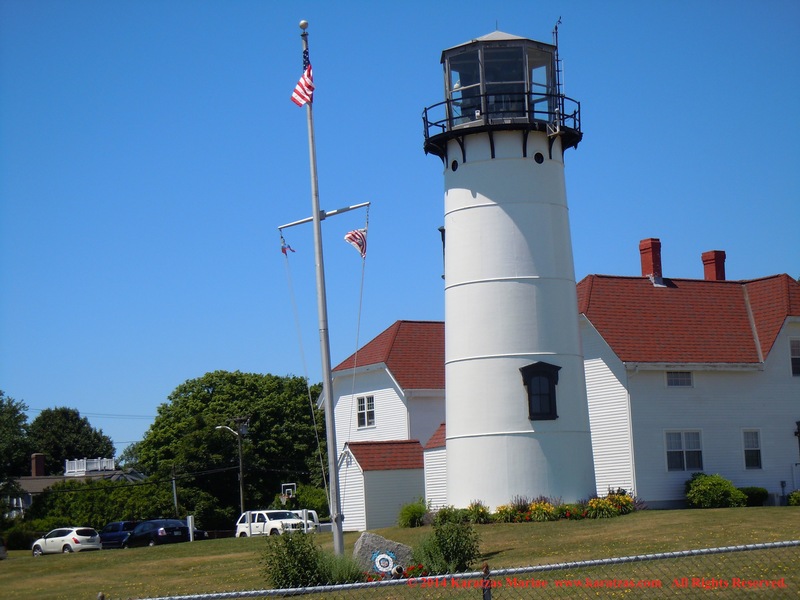 The original lighthouses were commissioned by the U.S. Congress in 1837 and were positioned halfway along the coast of Cape Cod by the town of Easthman. 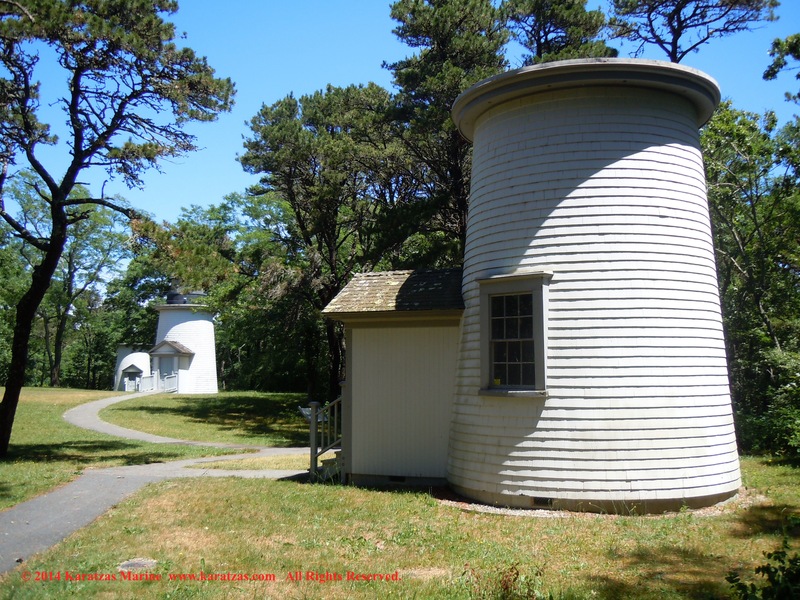 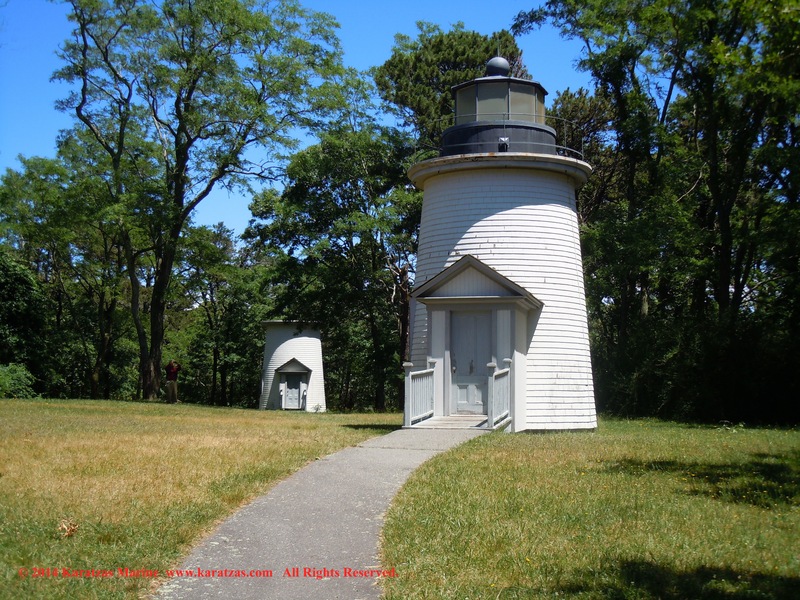 With the first lighthouse on Cape Cod (Highland Light) in North Truro (commissioned in 1797 by George Washington) and the second lighthouse in Chatham (commissioned in 1808, Chatham Light), this third lighthouse was planned to be positioned between the first two. 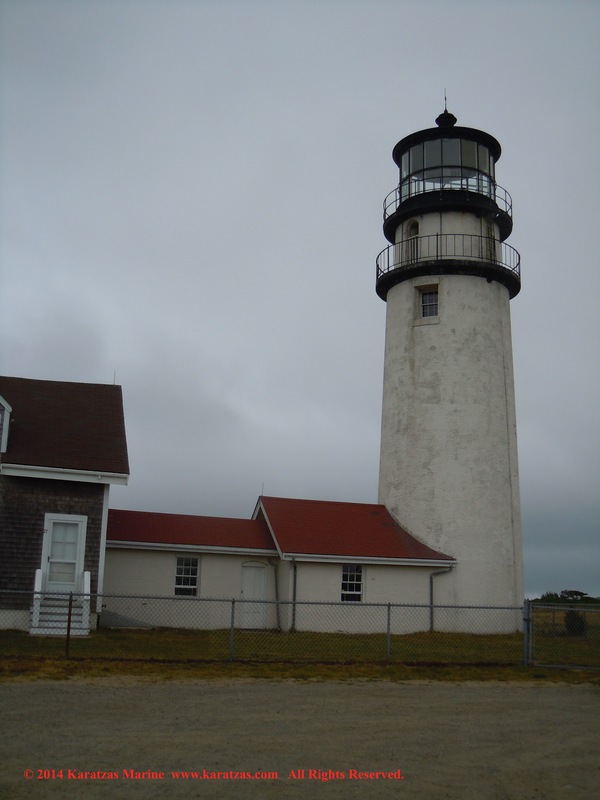 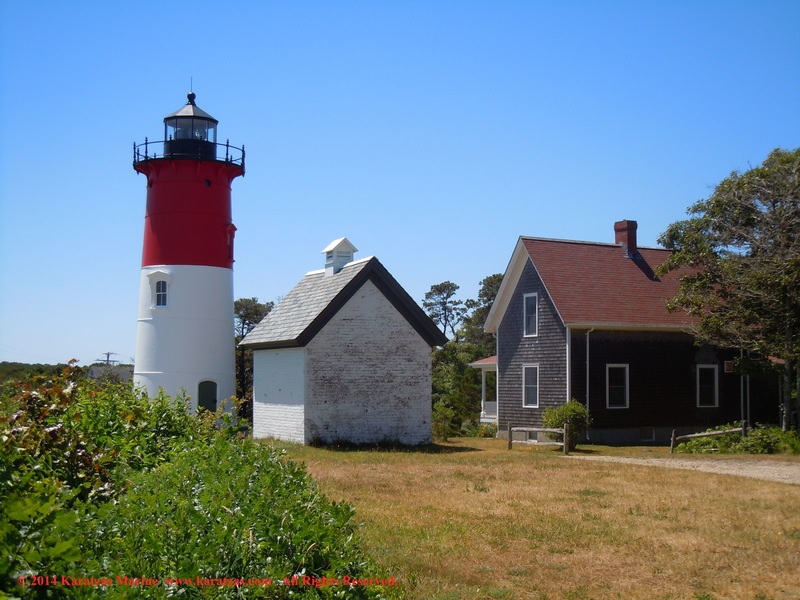 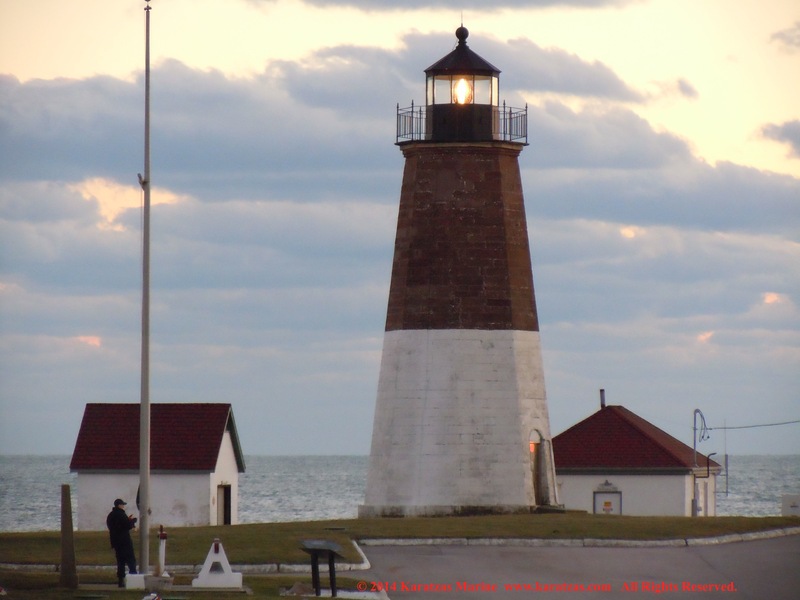 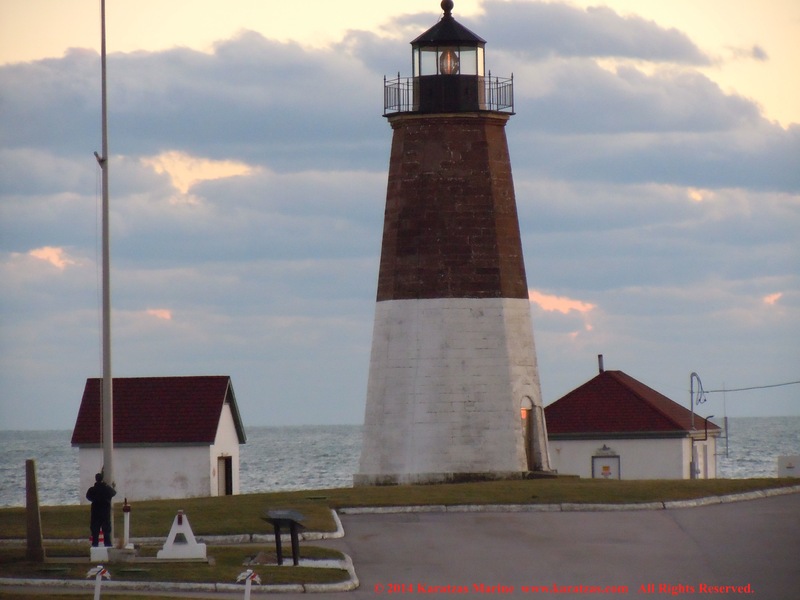 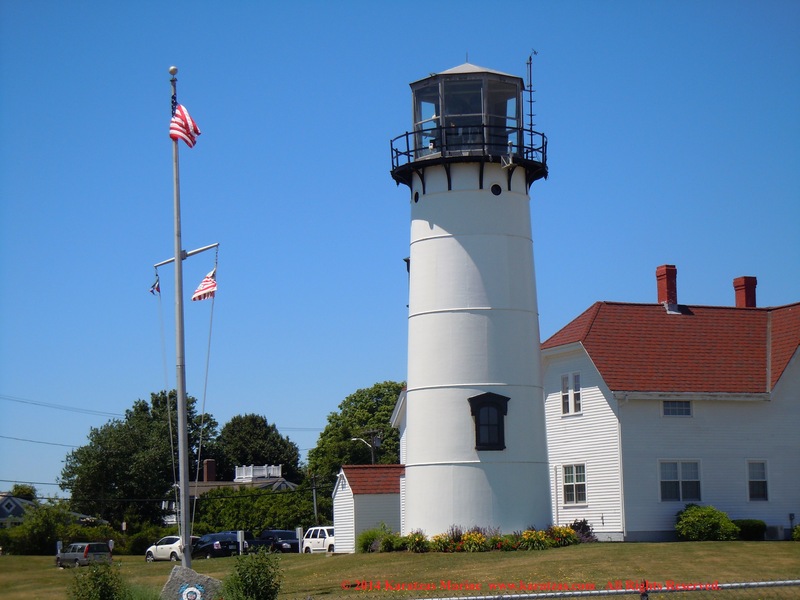 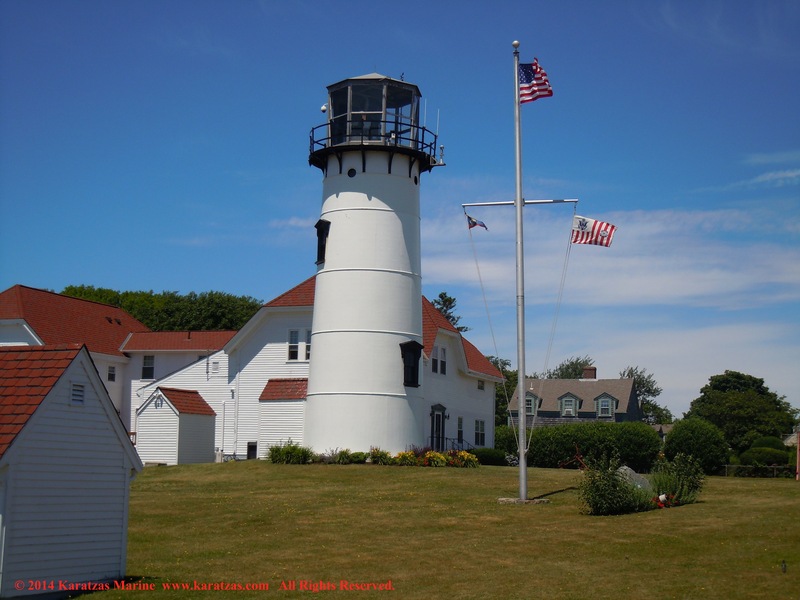 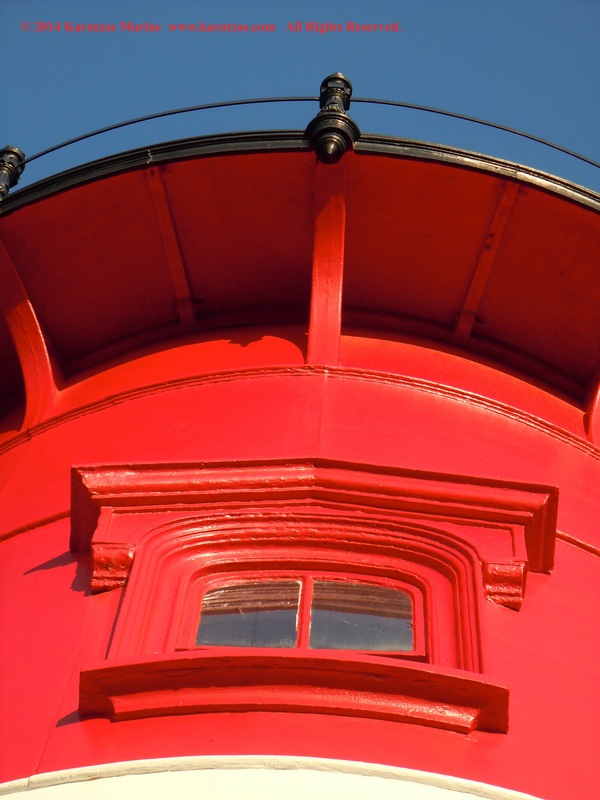 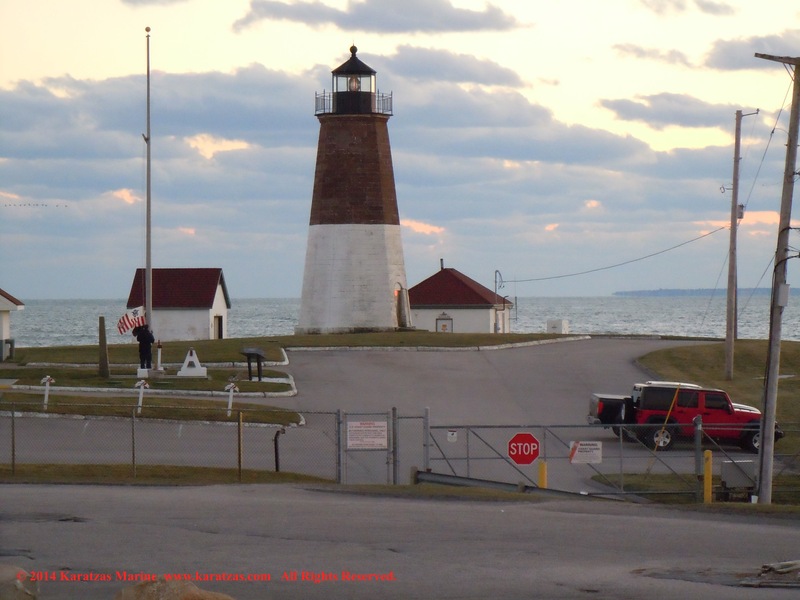 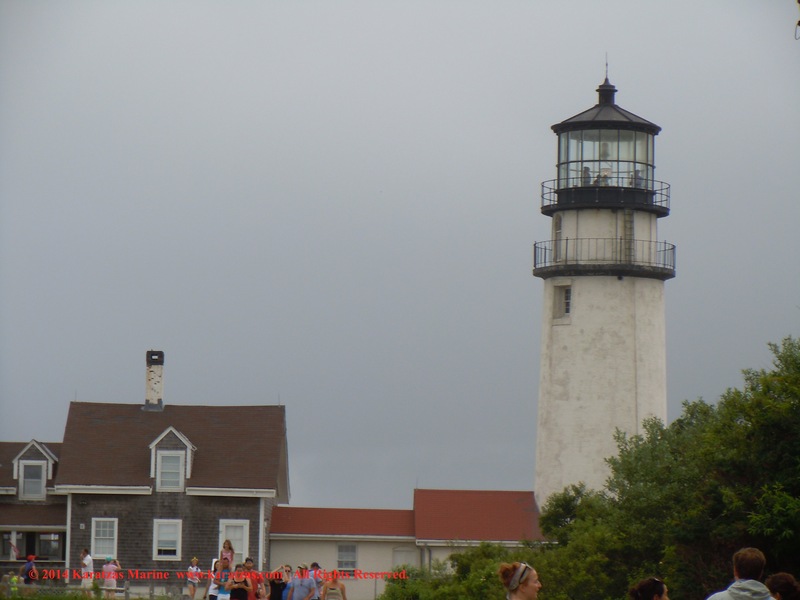 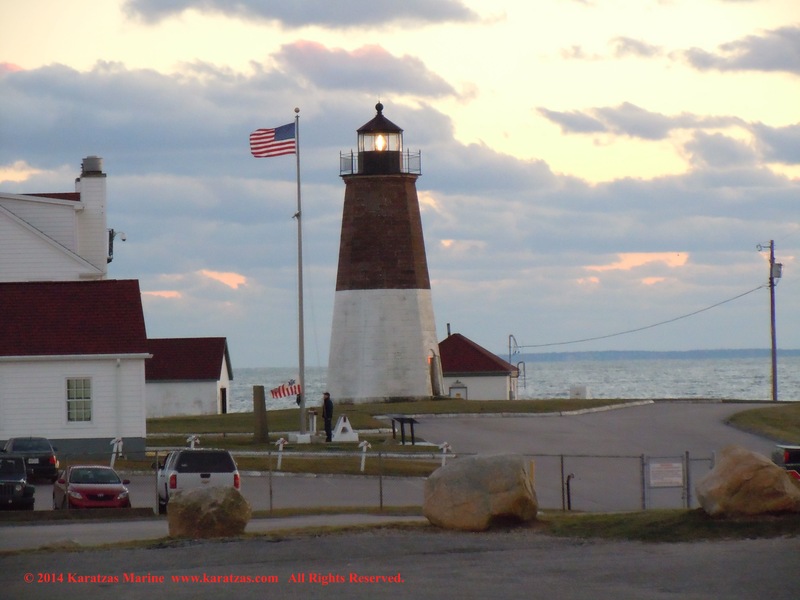 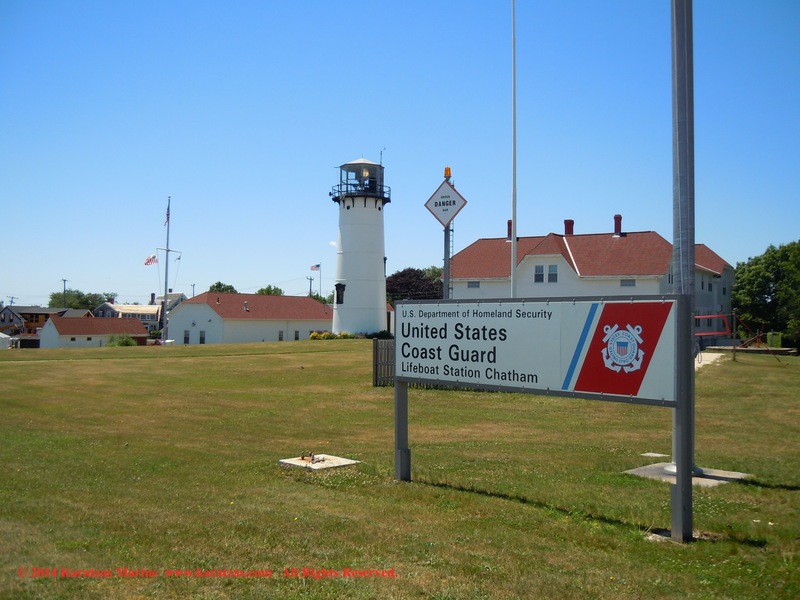 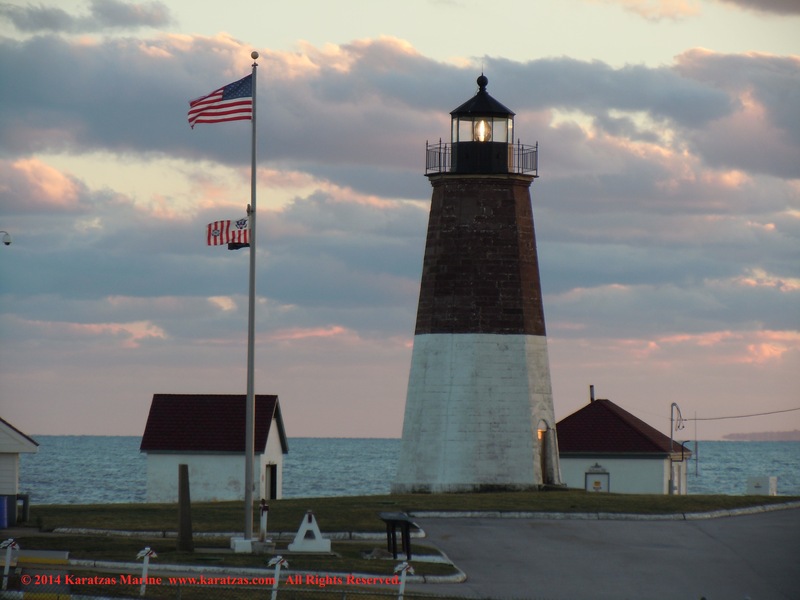 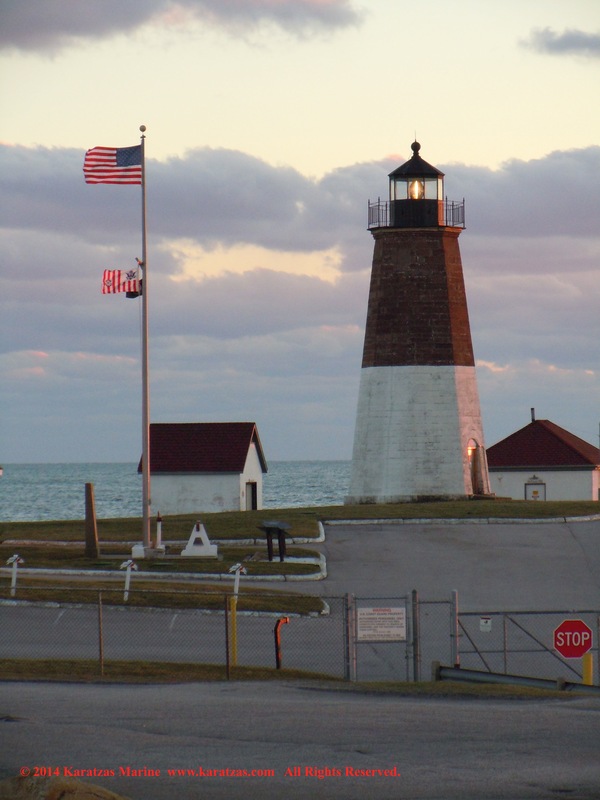 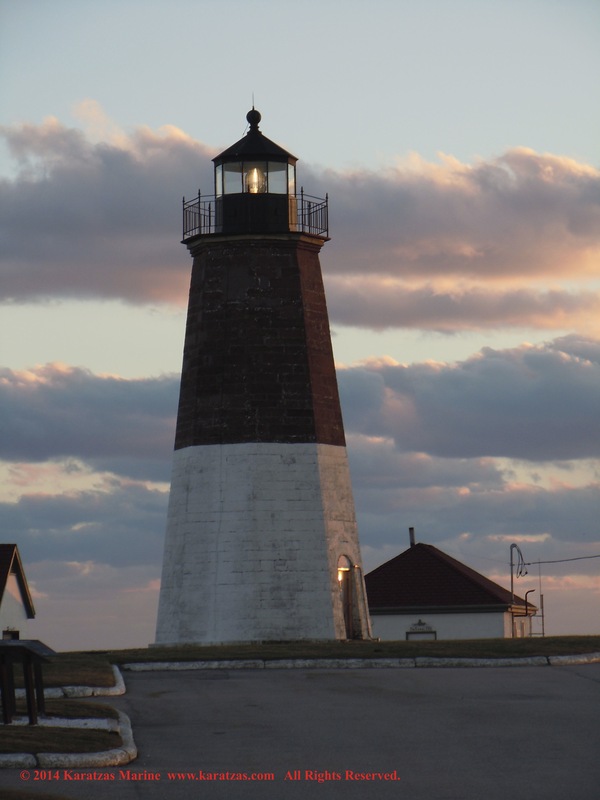 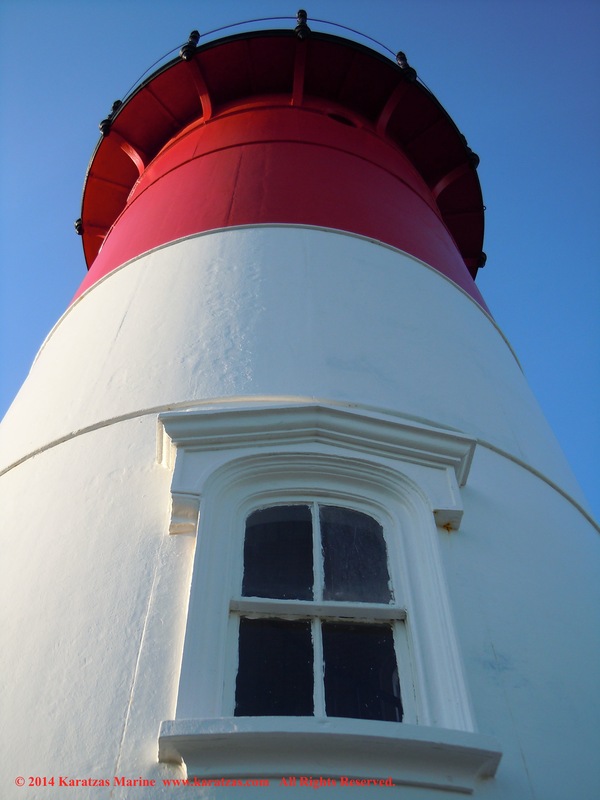 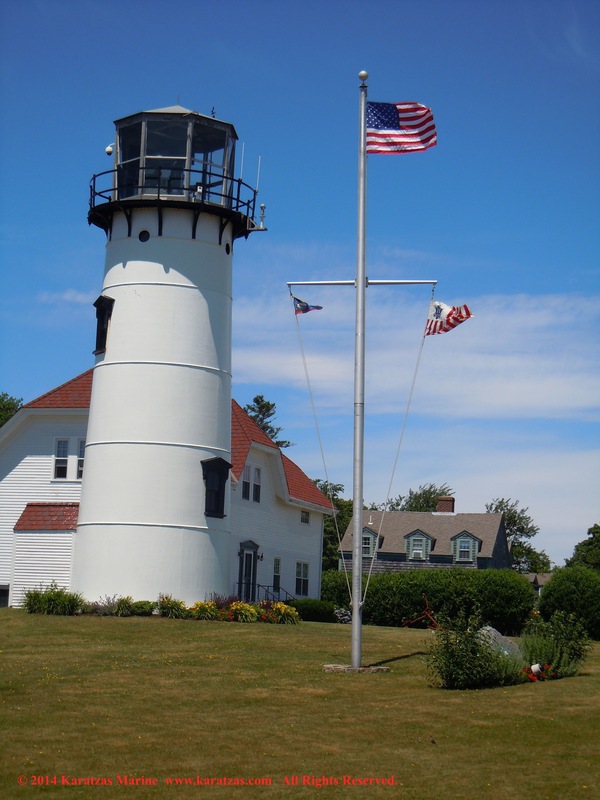 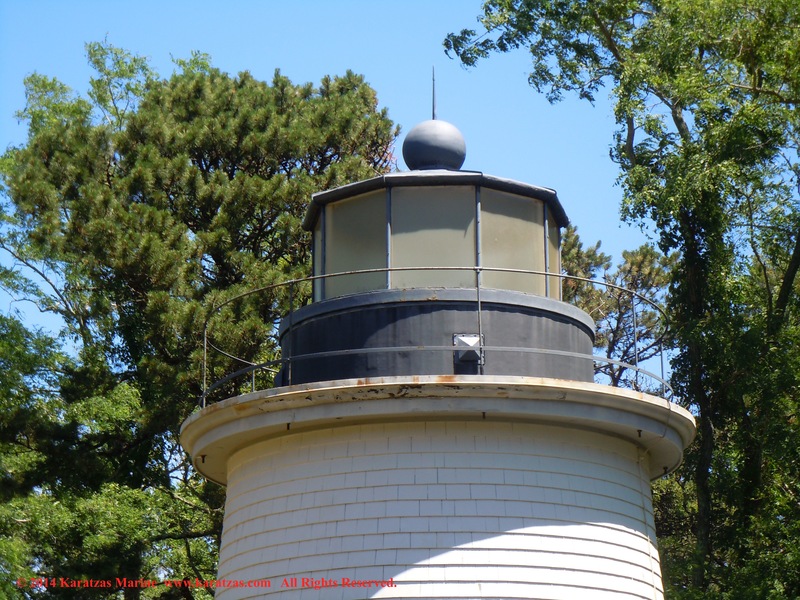 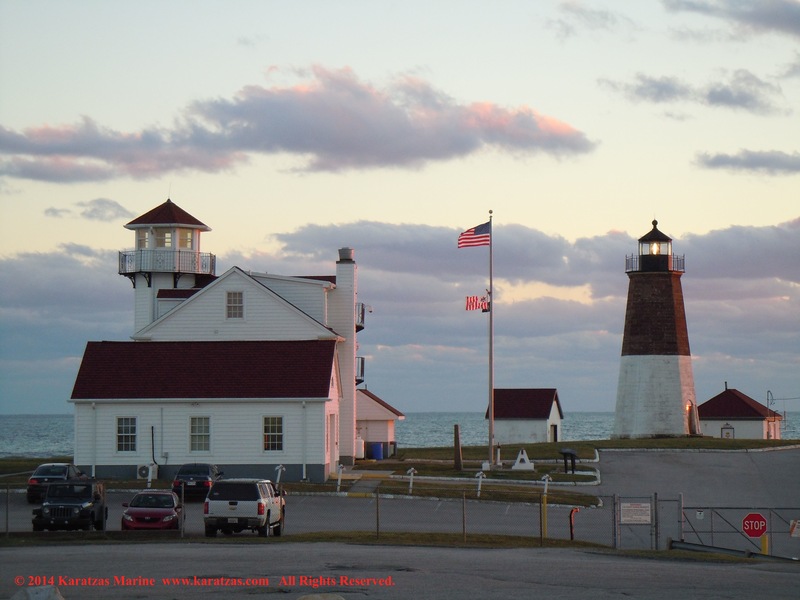 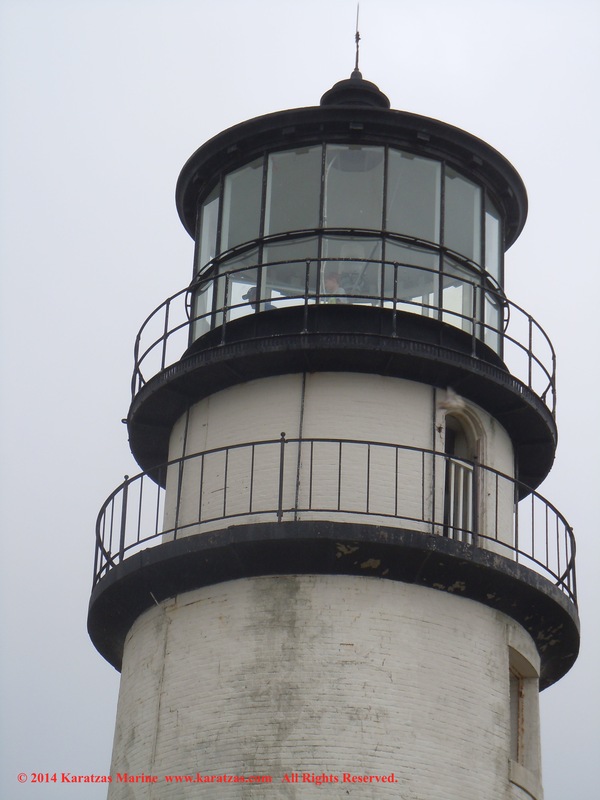 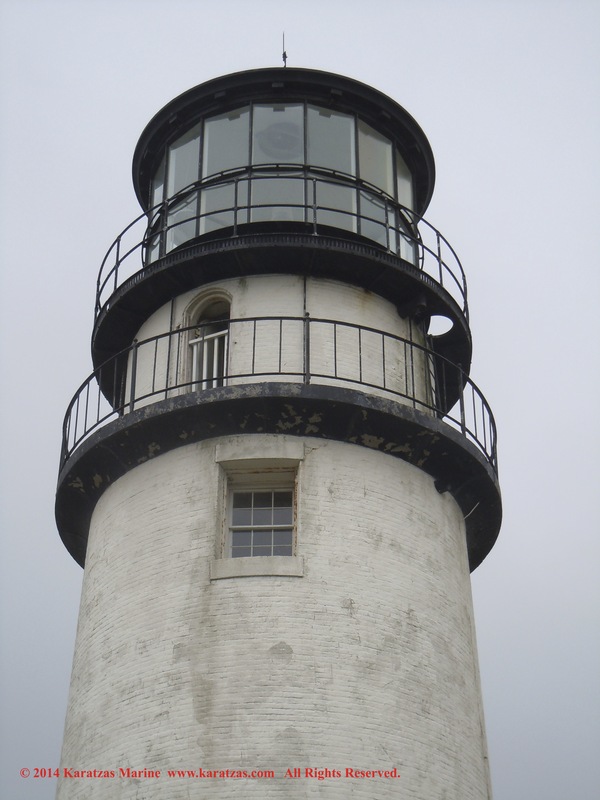 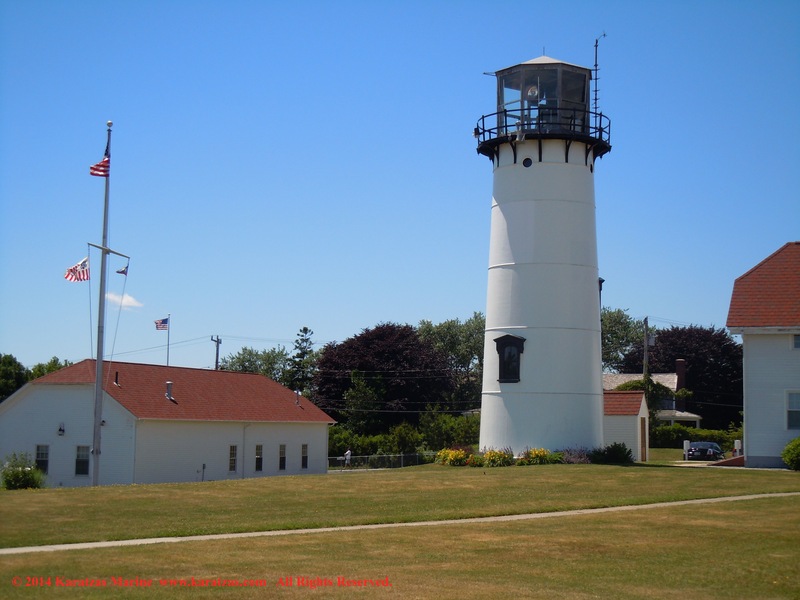 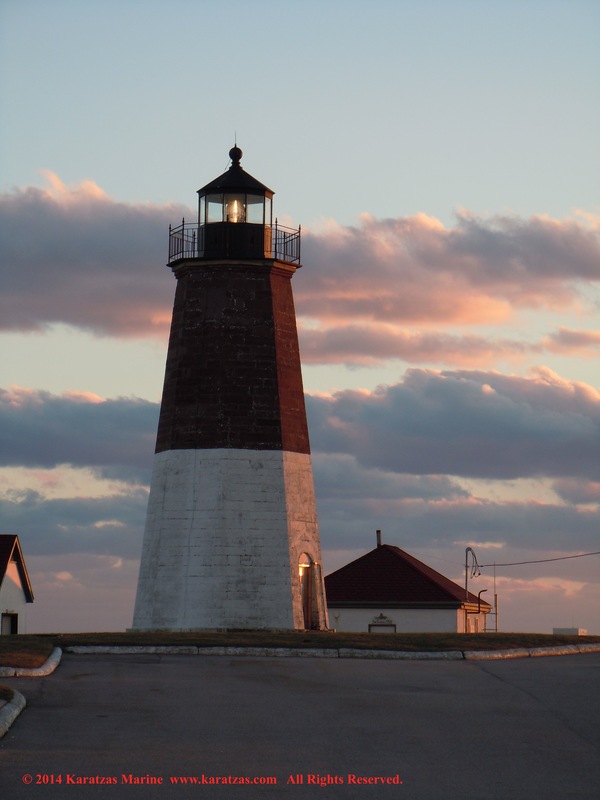 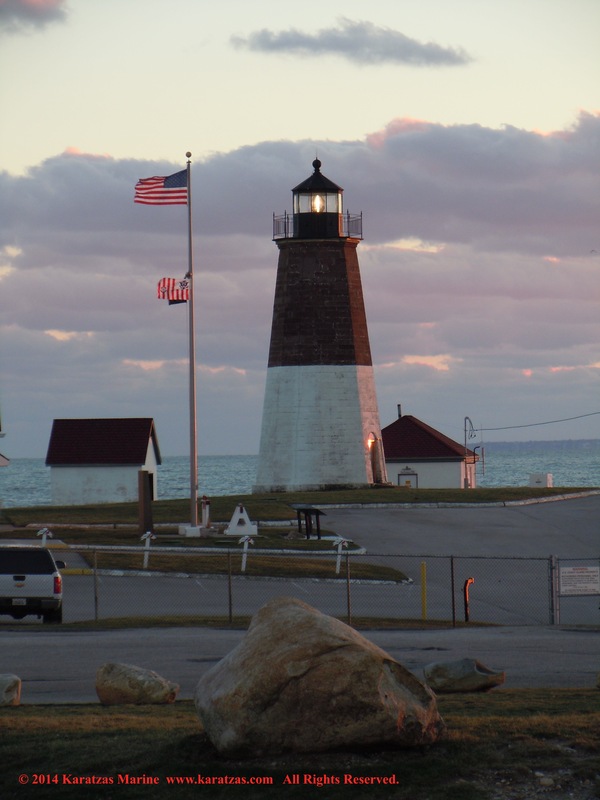 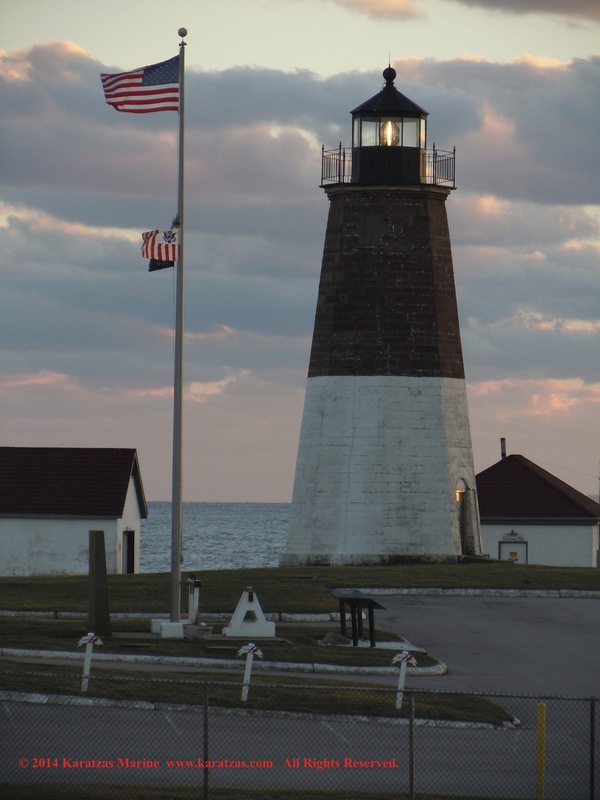 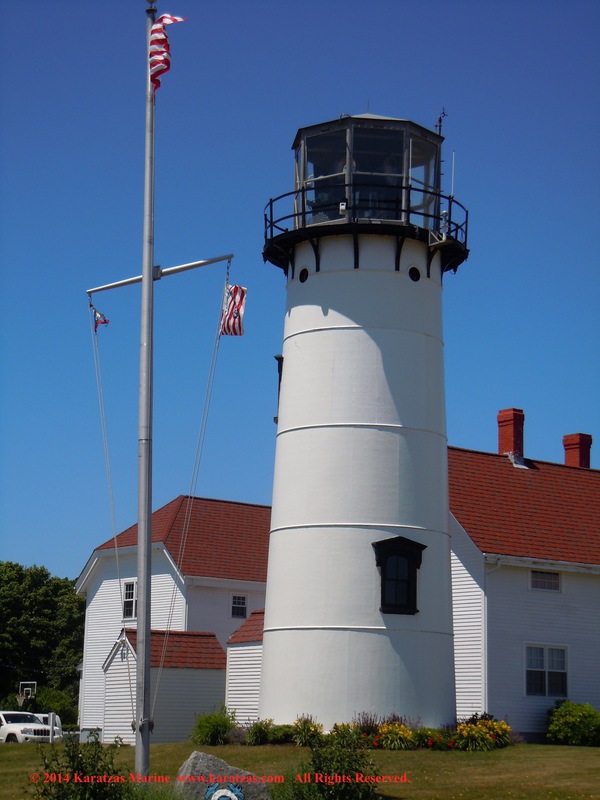 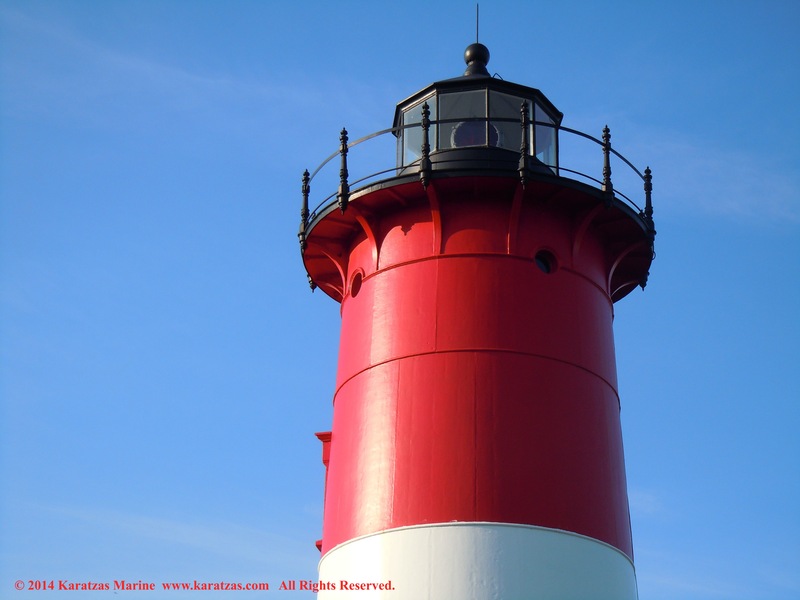 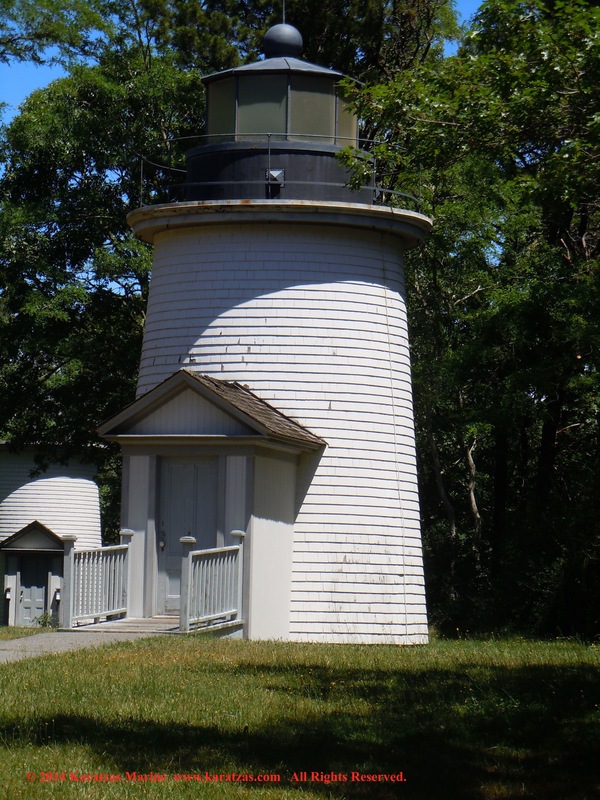 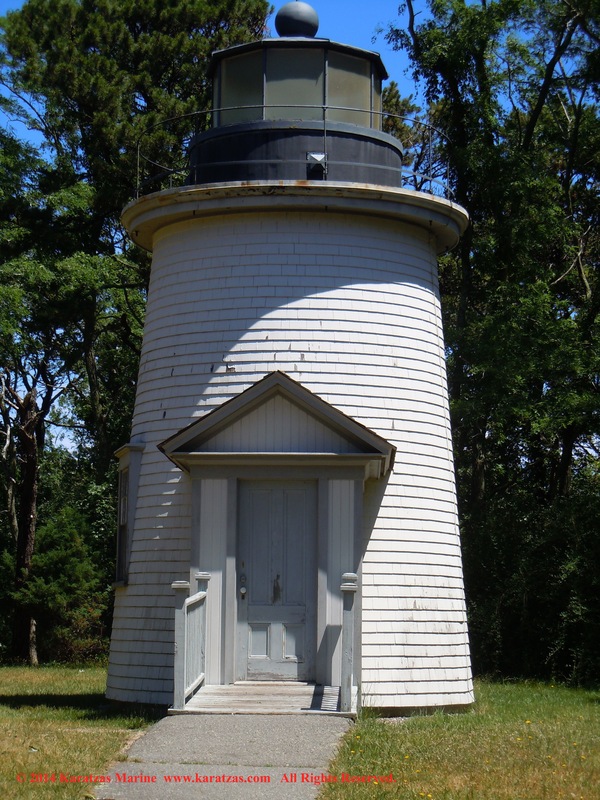 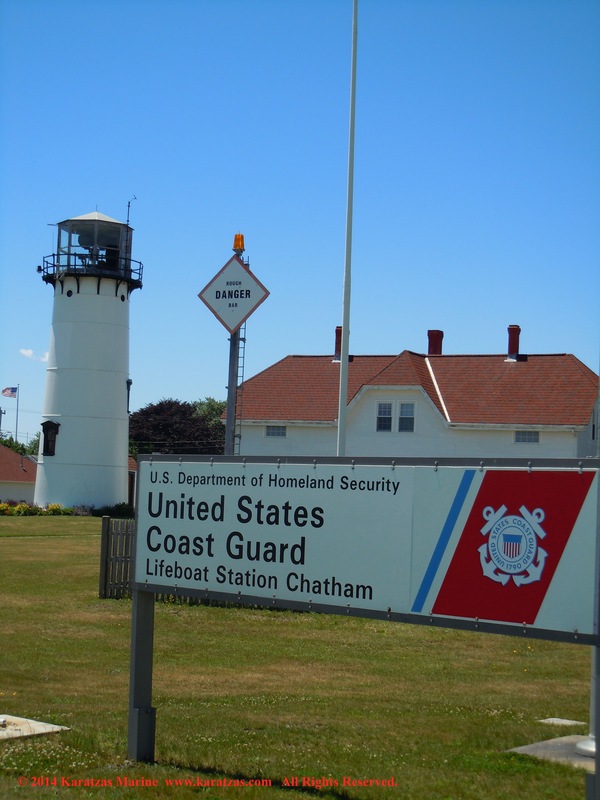 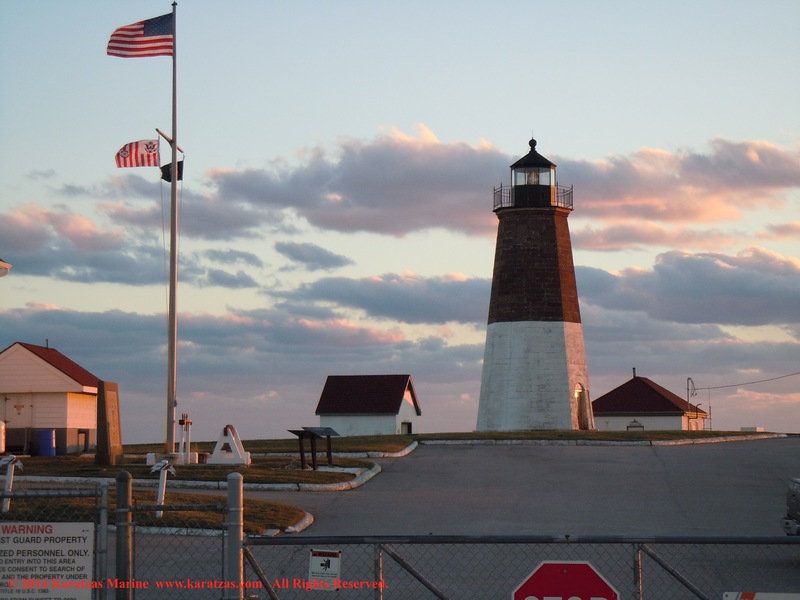 The Highland Light had one light and the Chatham Light, in order to be easily distinguishable from the former, had two lights (and thus the original name of ‘Twin Lights’). 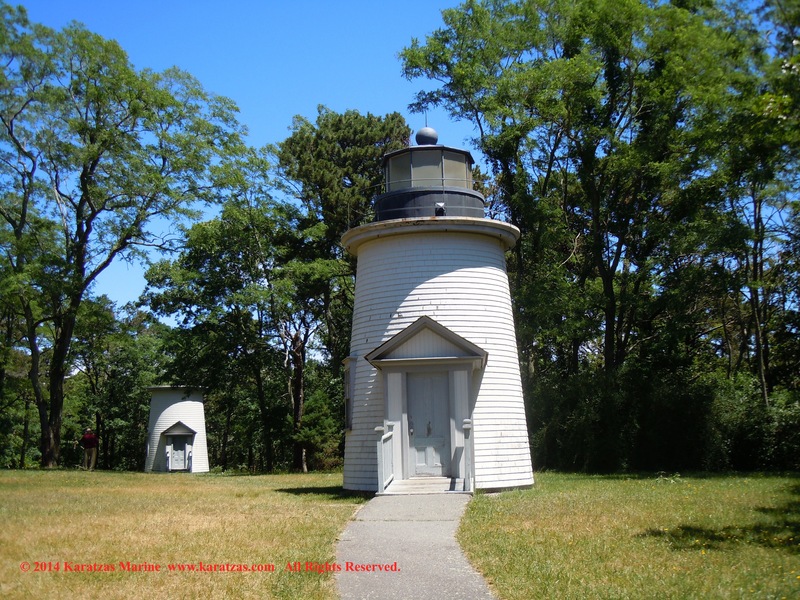 This third lighthouse structure was designed with three lights in order to stand out, and thus the name of ‘Three Sisters’. 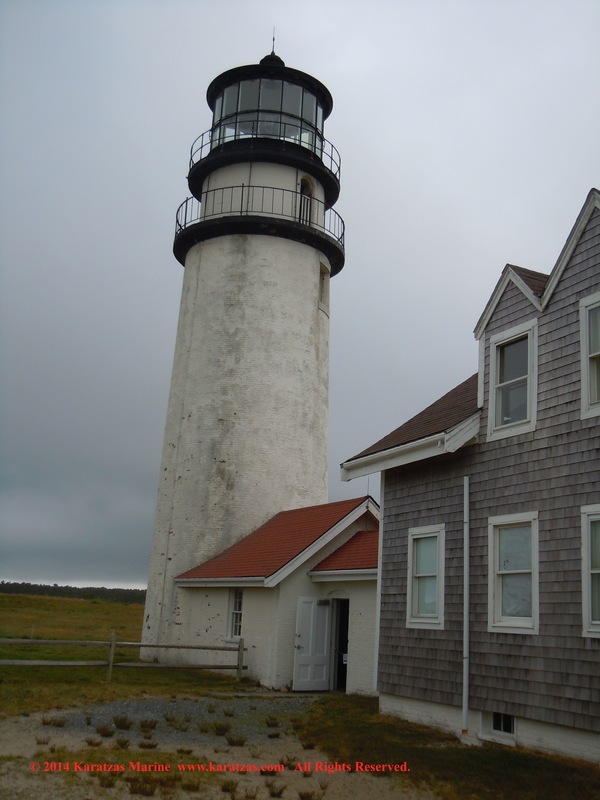 The original structures were demolished and replaced in 1892 as coast erosion has brought the sea dangerously close to the structures. 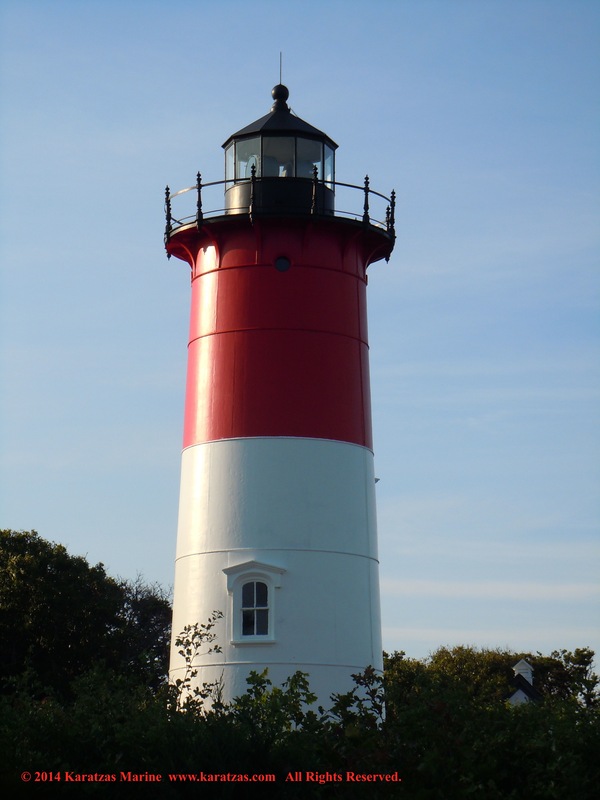 In 1911, again due to land erosion, the lighthouses had to be moved further inland; at this time, only one lighthouse (the ‘Beacon’) remained commissioned but now with a triple flash in honor of the trilogy of the lighthouses. 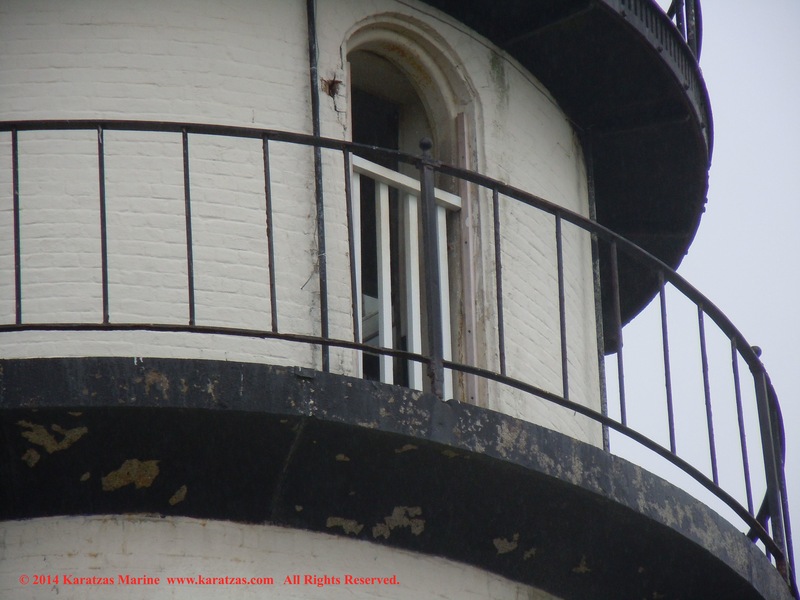 Since 1975 all three lighthouses are decommissioned, with only the ‘Beacon’ maintaining its top intact with the lantern and lens. 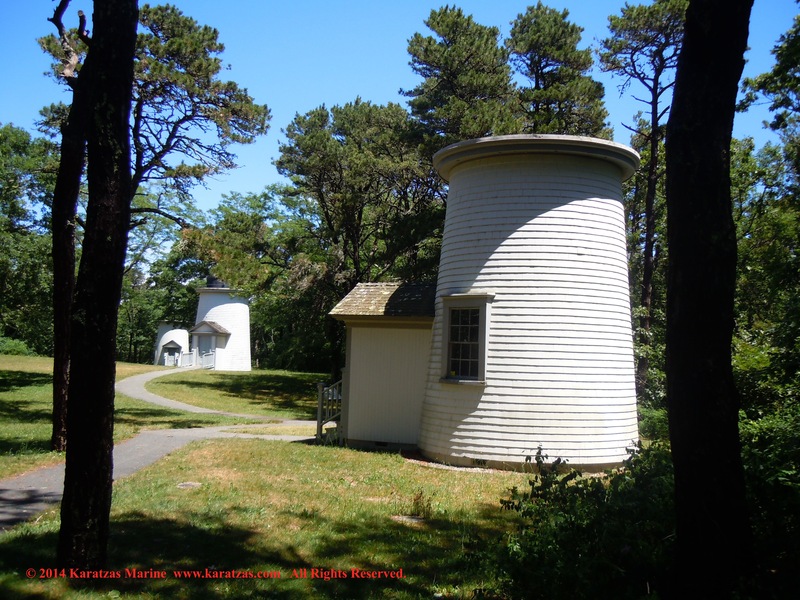 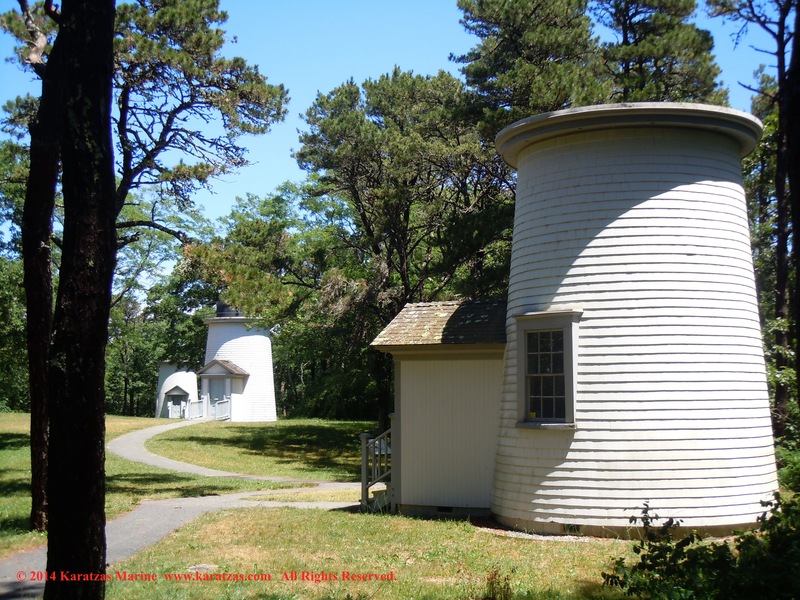 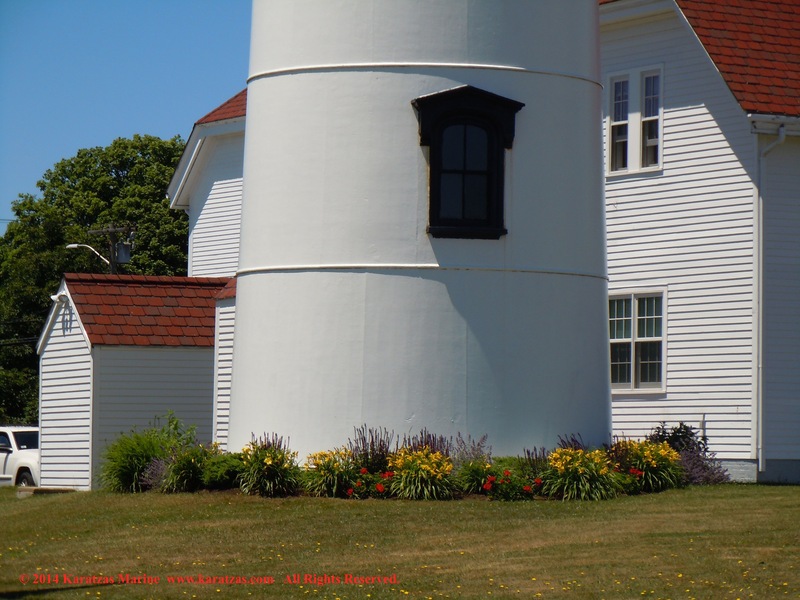 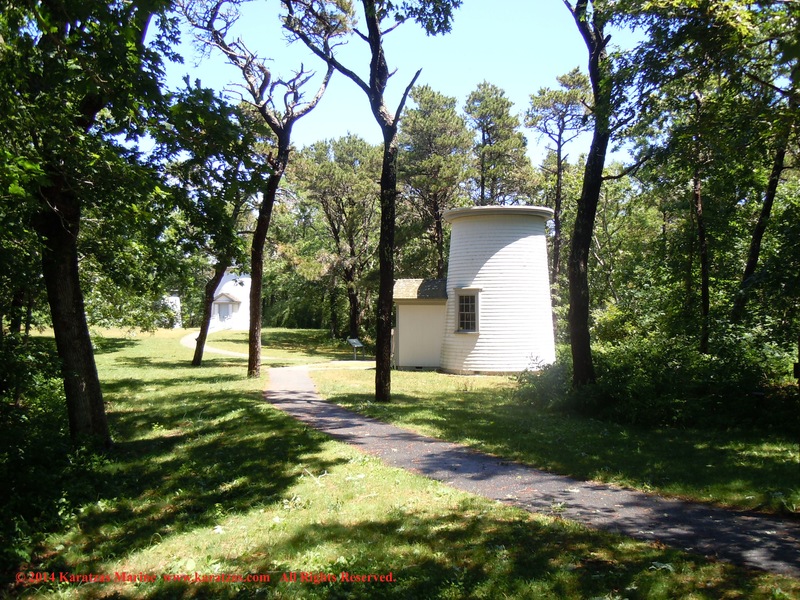 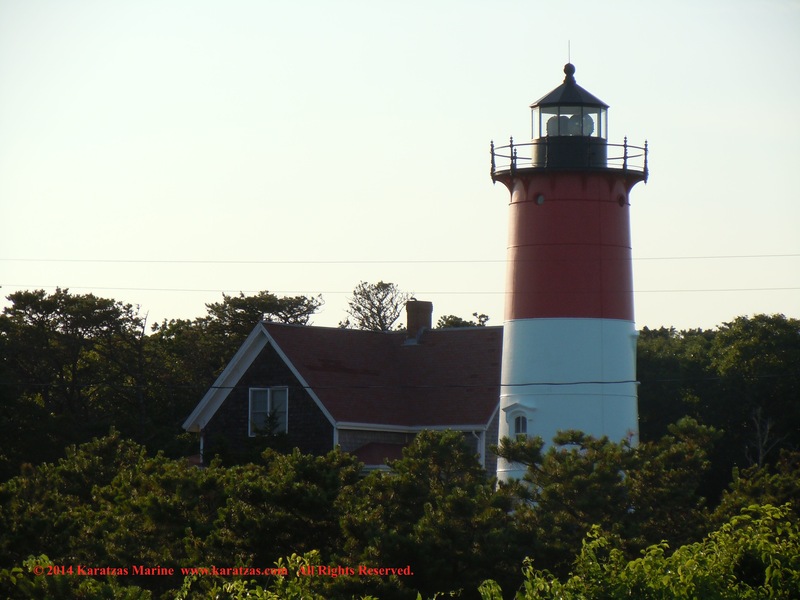 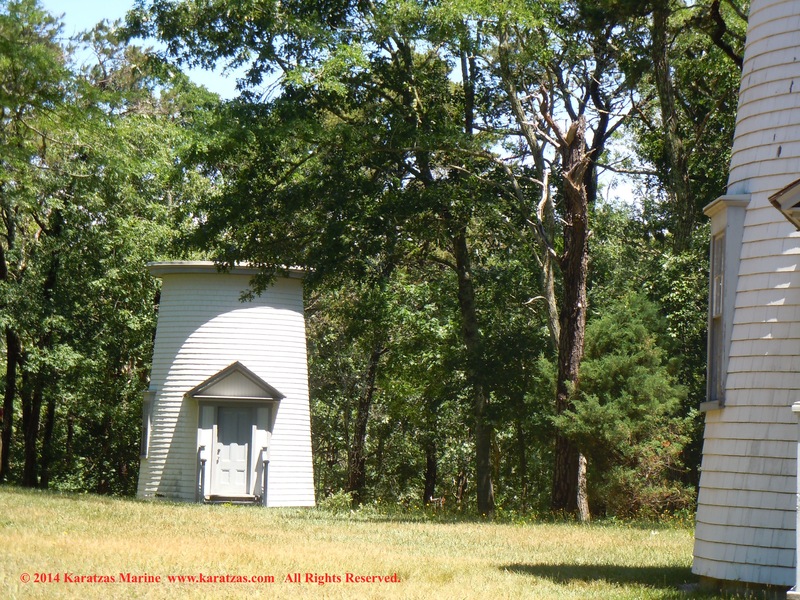 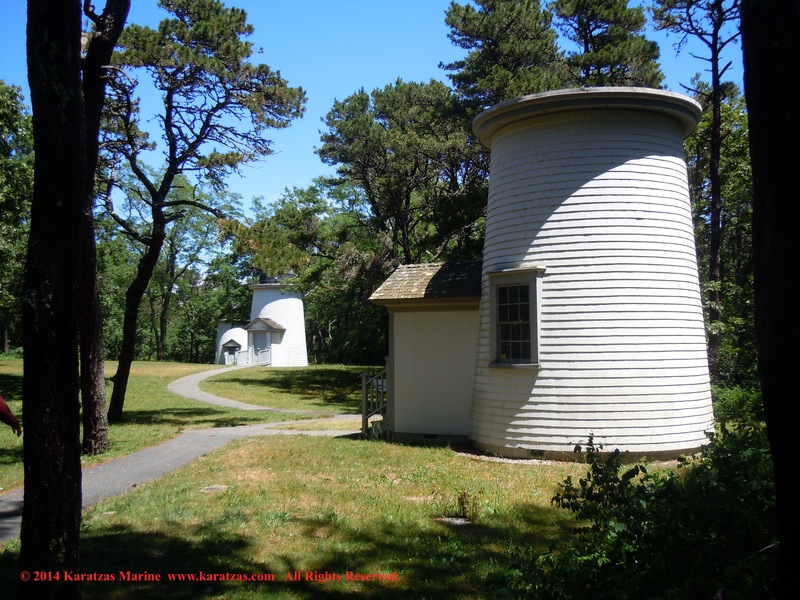 The ‘Three Sisters’ are within a few minutes walk from the ‘Nauset Beach Light’ in Eastham, Cape Cod. 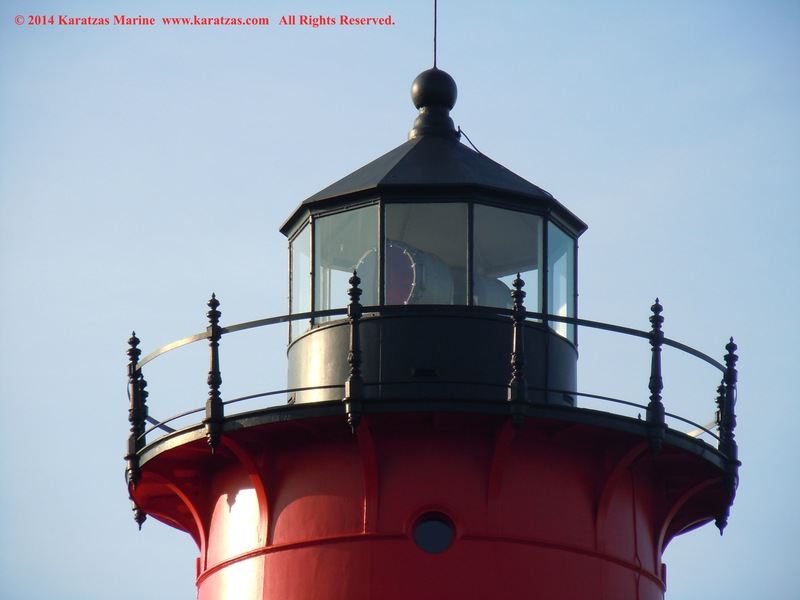 Posted on July 11, 2014 by Karatzas Marine Advisors & Co.
Posted on July 10, 2014 by Karatzas Marine Advisors & Co. 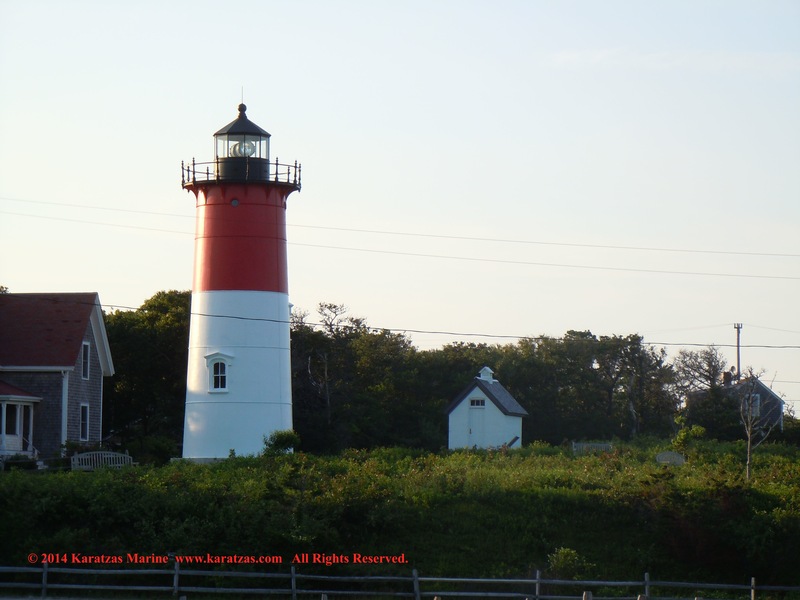 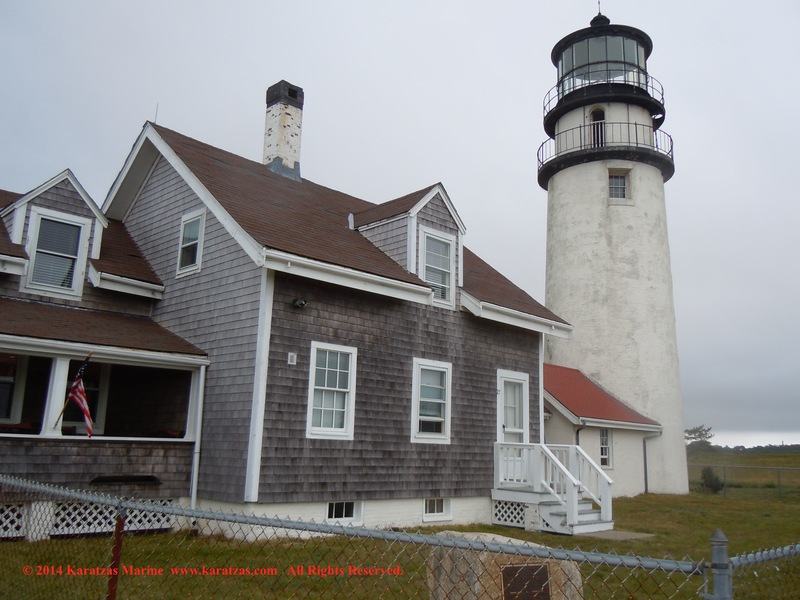 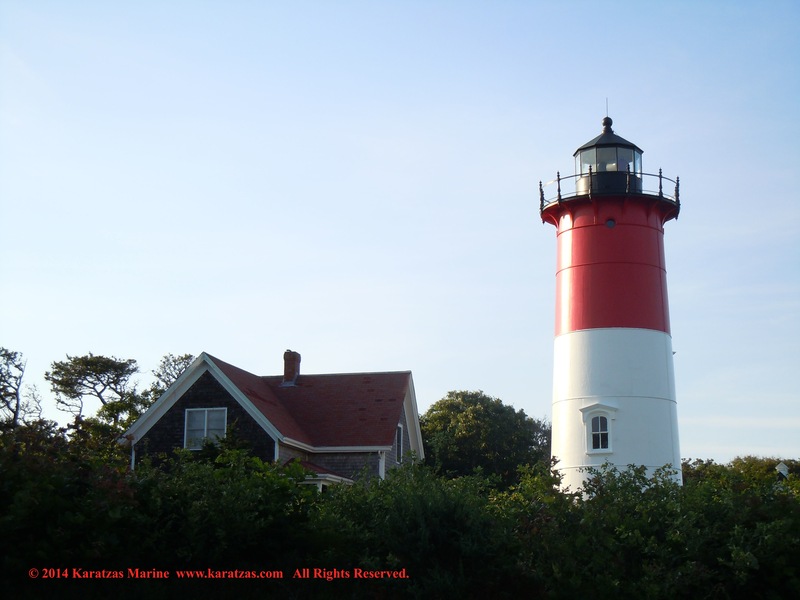 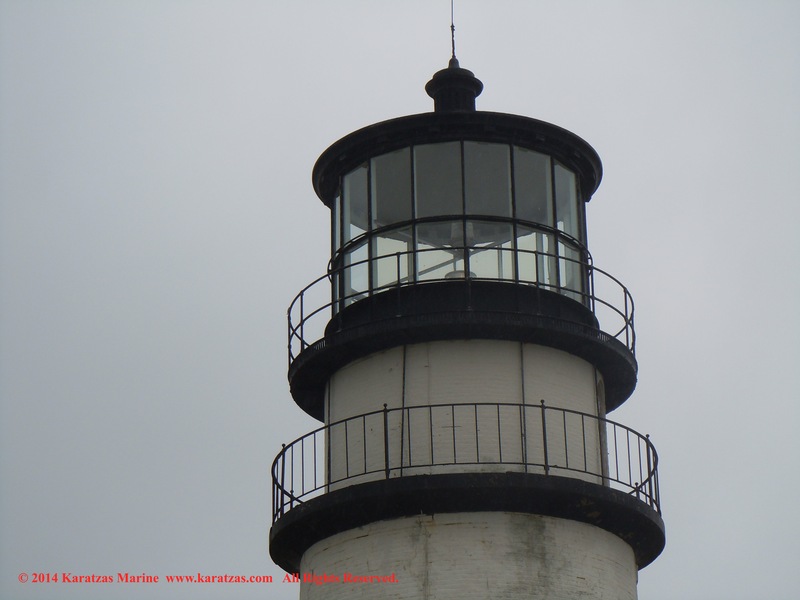 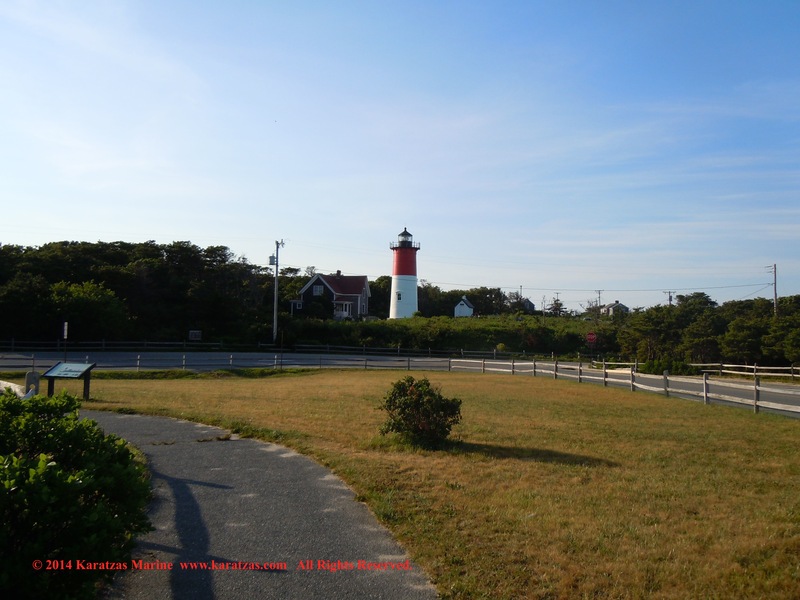 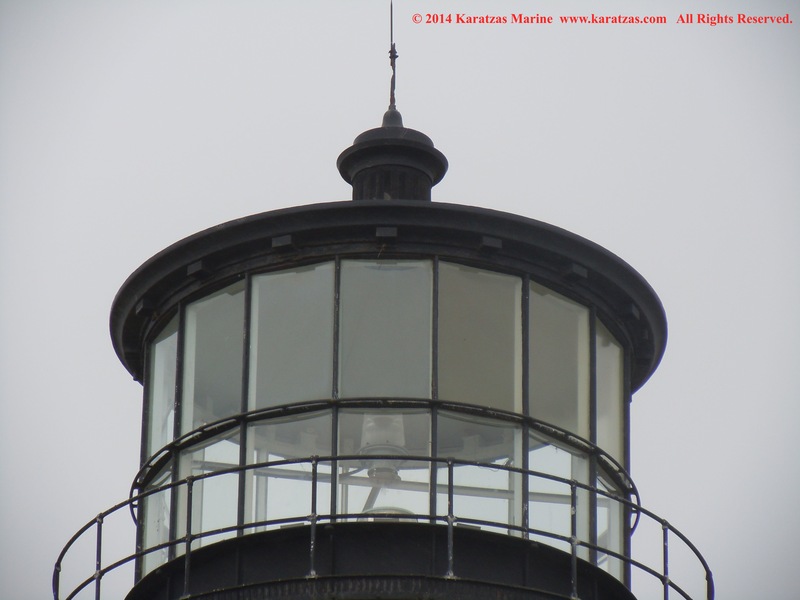 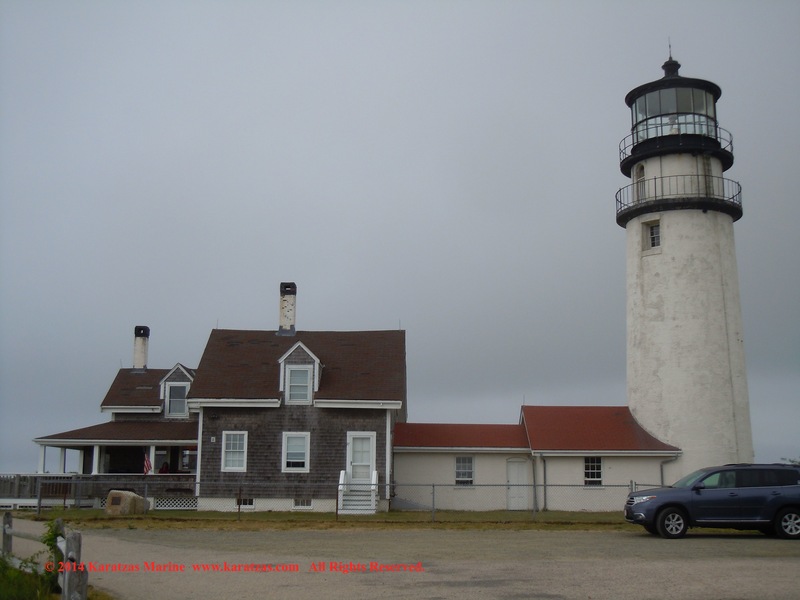 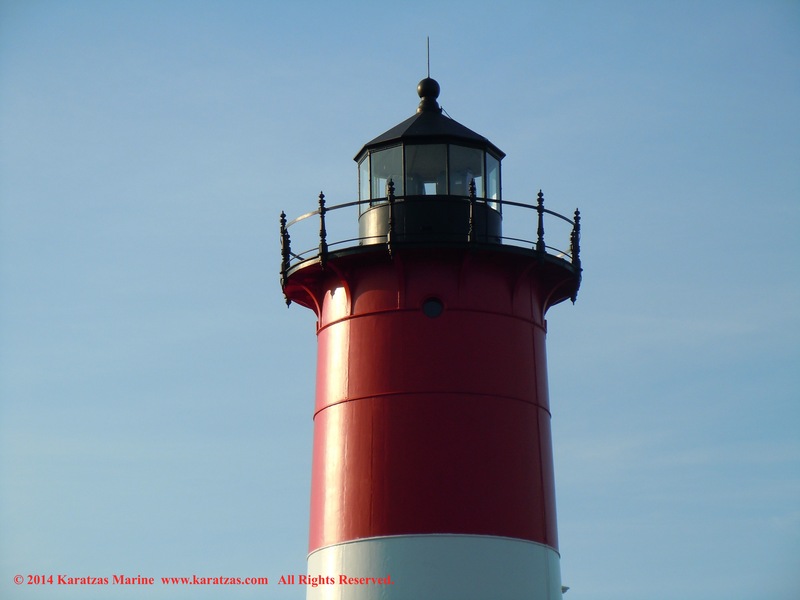 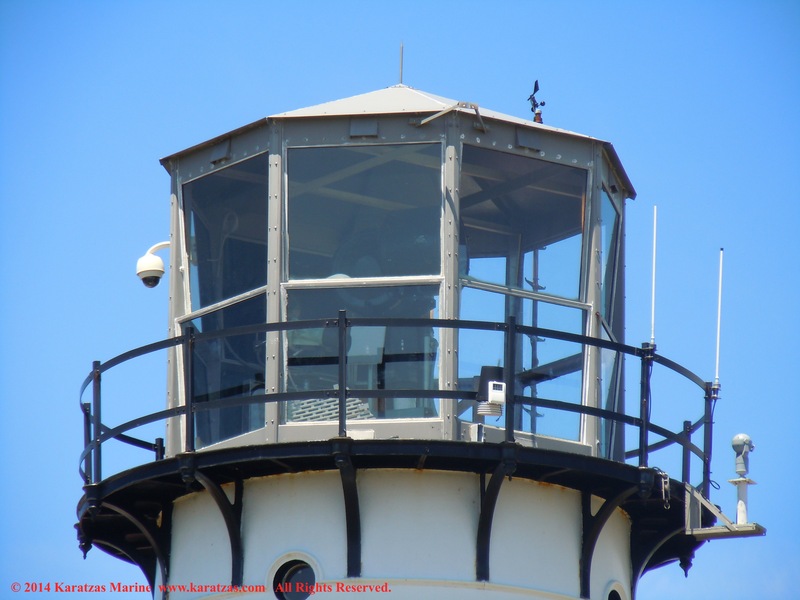 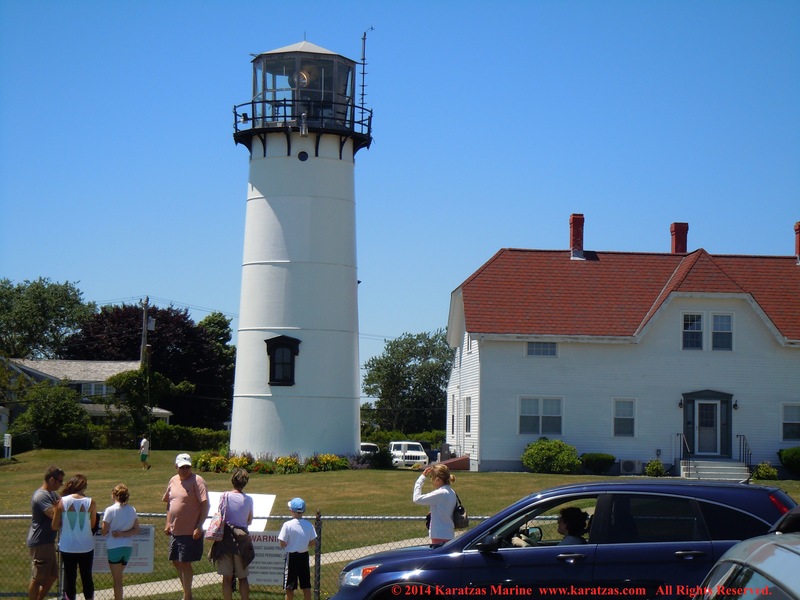 Images of lighthouse ‘Nauset Light‘ (officially, ‘Nauset Beach Light’) at Nauset Beach, Easthman, Massachusetts. 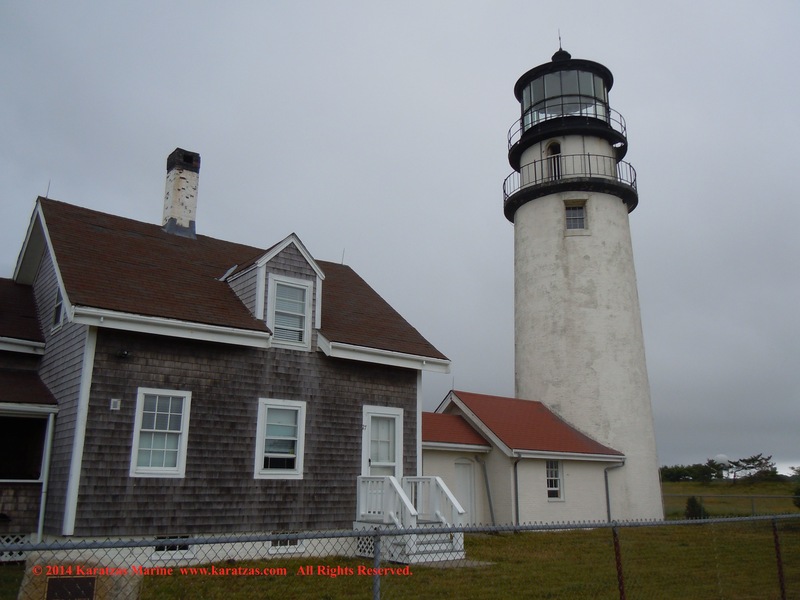 Images of lighthouse ‘Highland Light’ (also known as ‘Cape Cod Light’) on the Cape Cod National Seashore in North Truro, Cape Cod, Massachusetts. 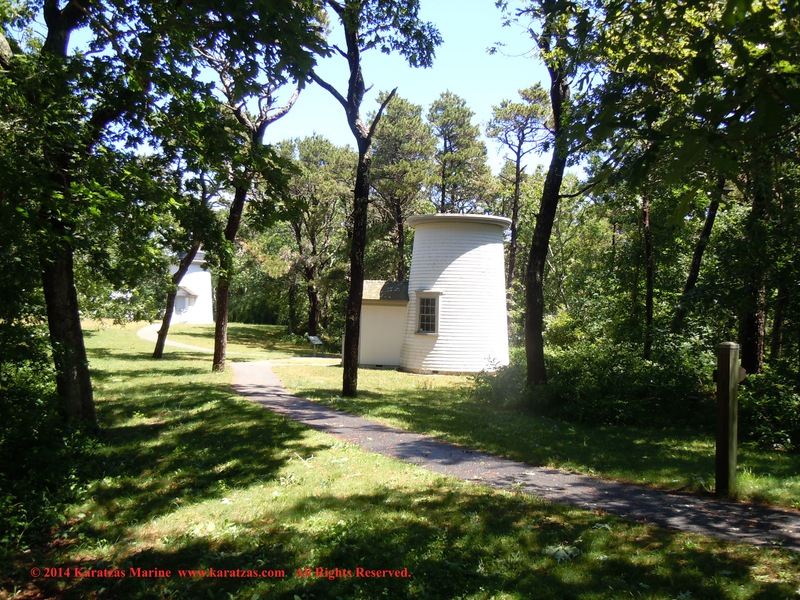 The oldest lighthouse on Cape Cod built in 1797 and its construction was authorized by President George Washington; original wood structure was replaced with brick lighthouse in 1833, which was rebuilt in 1857 (present structure).